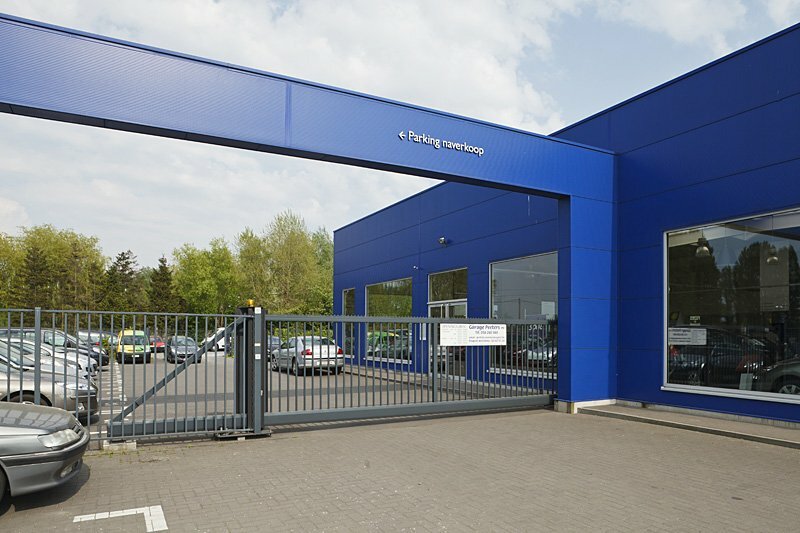 The design, construction and finish of our Bekamatic SC sliding gates results from over 15 years of practical experience from installations combined with Betafence’s superior technological know-how. The range is going from 3m opening width to up to 12m opening width. The heights are variable between 1m and 2.4m. Other sizes are available on request. 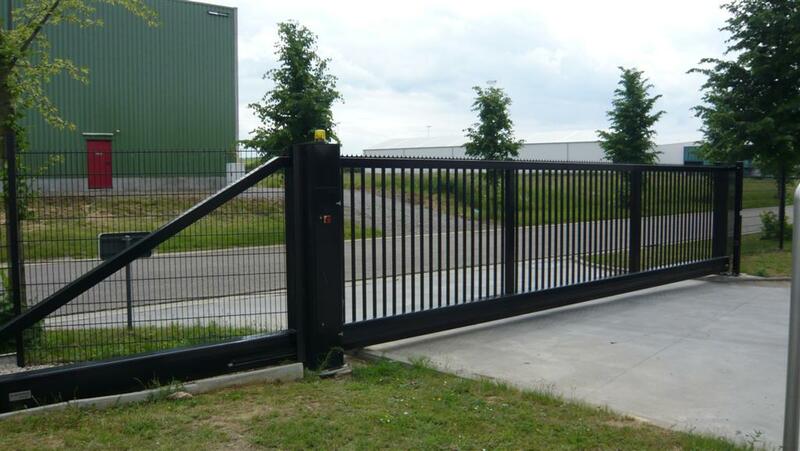 The Bekamatic SC gates are state of the art in terms of safety. 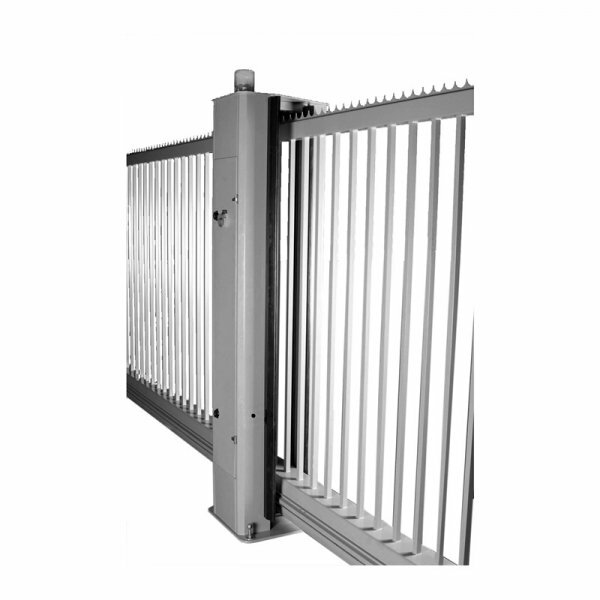 All gates are equipped with 5 pressure strips, warning light, two pairs of photocells. The safety distance between the bars with Robusta infill is 110mm, to prevent climbing through. The roller system is integrated in the underbeam of the date and is also avoiding accidents. 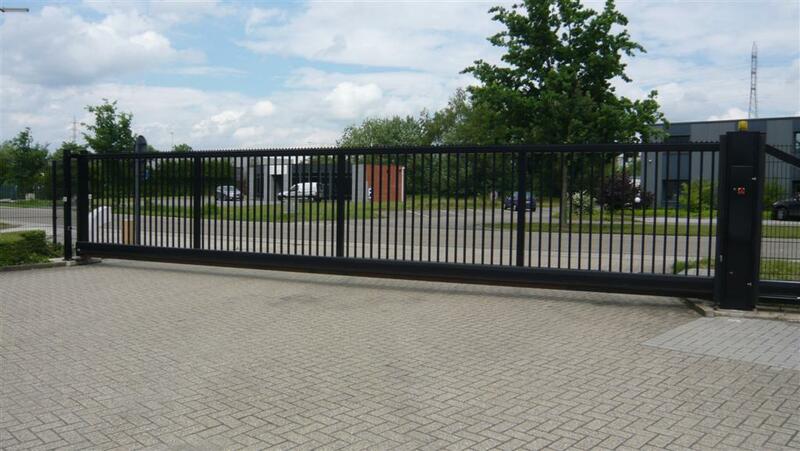 The Bekamatic SC sliding gate can be easily combined with an attached pedestrian gate and with all common Betafence fencing systems. Bekamatic SC sliding gates completely harmonise with all styles of architecture. 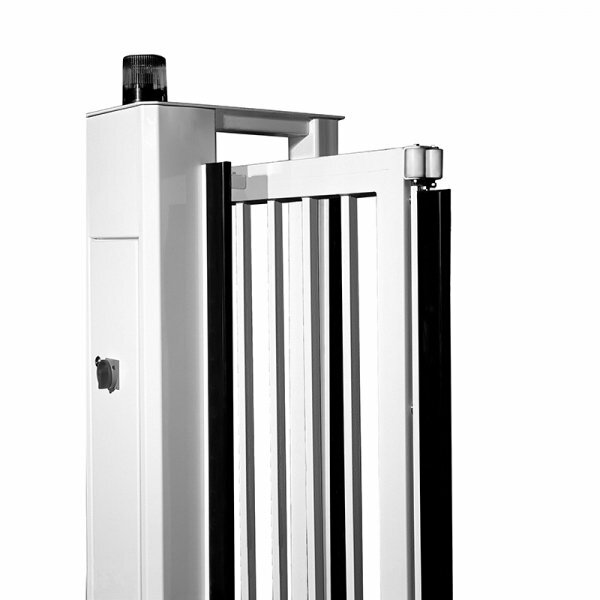 Bekamatic SC sliding gates are extremely rigid due to the chosen profile sections and the welded construction. 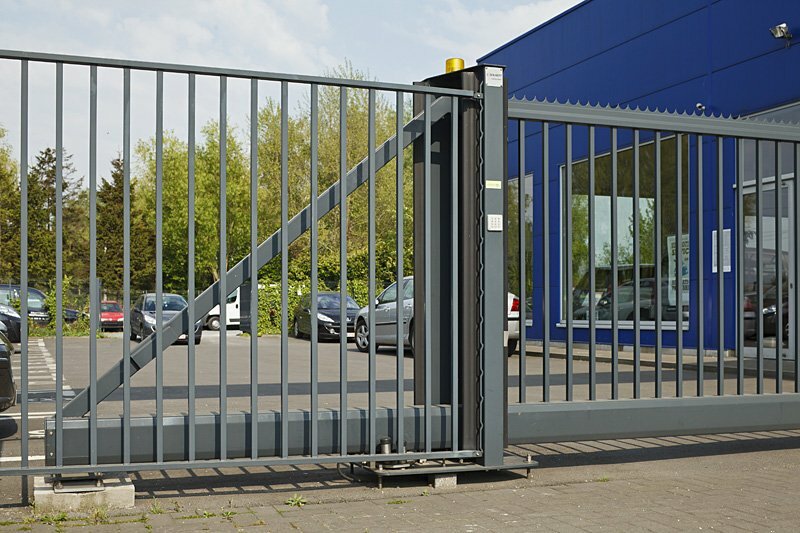 Bekamatic SC sliding gates are foreseen with an ingenious tension system integrated in the frame of the gate. This tension system guarantees a perfect stable and in line operation at all times. Bekamatic SC sliding gates are delivered completely pre-assembled on site, and ensure, in this way, a very quick and smooth installation on site. The Bekamatic gate is always motorized and foreseen with the most advanced safety and security solutions. There are two different versions. For the two different versions, the motorization is completely integrated in the guiding post of the Bekamatic gate. In this way the motorization is also protected to all vandalism and weather conditions. At the same time the motor and controller are easily reachable for maintenance and interventions. The perfect solution for the most intensive and extreme conditions. Bekamatic SC 5000 line (with E145 controller) – A version that has already existed for a long time and has proven his capabilities. A fixed opening speed of 9 m/min, all kind of access control options are possible. Bekamatic sC 10000 line (with eP 104 controller) A version that has been newly developed and is working with a frequency operated controller. If this version is chosen, a variable opening speed to up to 18 m/min is possible. All kind of access control options are possible. The frame is provided at the top and the bottom with guiding rolls for a perfect entering in the end post bridge. Guiding posts and end posts have ground plates. The guiding post has 2 adjustable guiding rolls at the top and an integrated base plate for the installation of 1 set of guiding rolls that is situated in the underbeam. 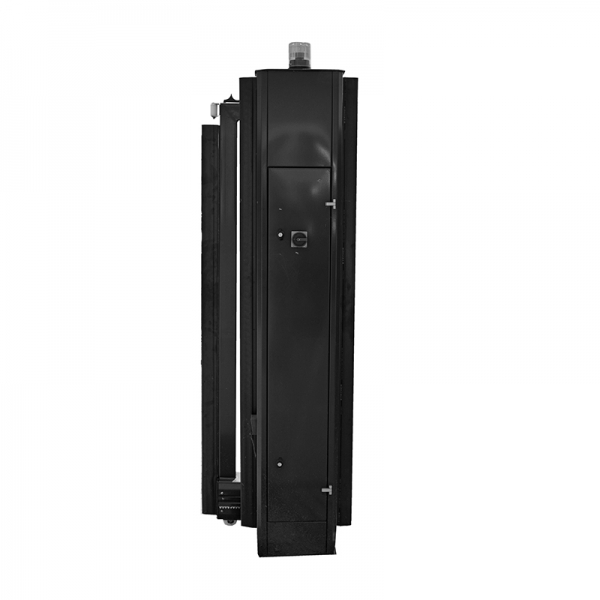 The universal guiding post is being used for both Bekamatic gates with underbeam 2000 or underbeam 2800. The lock post has a gate catcher mounted on top of the lock post, and is always foreseen with base plates. Two different versions are as follows: Enhanced post for combination with big access control options (intercom or videophone) and one version for basic or no access control options. The frame of the Bekamatic SC sliding gate features a carefully engineered tension system which assures perfect alignment of the underbeam at all times. Bekamatic gates are treated with the best coating techniques available: galvanised in and outside (minimum 275 g/m2, 2 sides combined). Finally the gates are epoxy and polyester coated (min. 120 micron). We give 10 years guarantee on all our coatings. Green RAL 6005, green RAL 6009, white RAL 9010, grey RAL 7030, grey RAL 7016, blue RAL 5010, black RAL 9005. Other colours: on request.